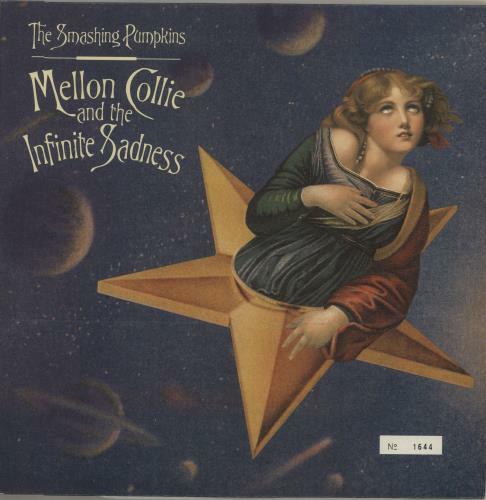 SMASHING PUMPKINS Mellon Collie And The Infinite Sadness (1996 UK limited 30-track triple LP, housed in a numbered gatefold sleeve complete with 12-page lyric book. This album is now hard to find in this format and captures the band in one oftheir best periods. The sleeve has just a light corner scuff in the bottom right corner and the vinyl is near as new. 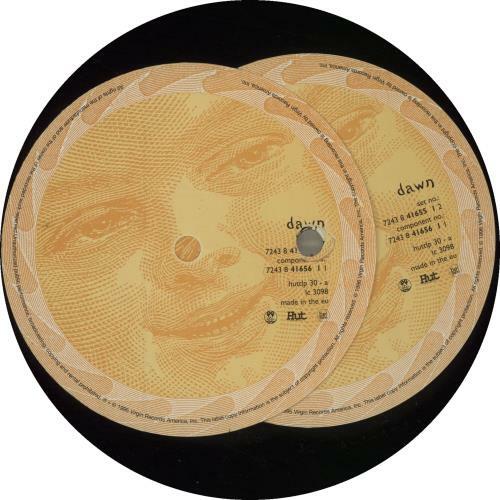 This copy has a label manufacturing issue on side one - it has two overlapping labels, the top one ends at the edge of the vinyl on the final track on the side. We are pleased to offer this very respectable copy at a more affordable price! HUTTLP30).